Flashpacker Alert! – These Two Eyes! Slowly I’ve evolved into what can only be deemed as a flashpacker. It took 15 years of individual travel, nearly 30 countries, and a variety of food, accommodation and day tours but it was on my most recent trip over to the North Island of New Zealand that my flashpackerism came into full recognition. One part backpacker, sleeping in hostels, joining adventure tours, trekking solo through unchartered territory but also one part flash. Flashpackers have been described as independent backpackers who like to travel in style, according to the Sydney Morning Herald. Typically over the post-college buzz and have established careers which enable them to opt for alternative options. Put it this way, backpackers don’t habitually have options as it all revolves around the cheapest, which could also mean the longest route and unclean bed. I like having options. I scanned the top shelf of my bedroom wardrobe contemplating which type of bag I should pack for my 10 day last minute trip over to New Zealand. A weekend over the shoulder bag would be too small, however packing my carry-on size Tumi wheelie would just scream flash, so as with my usual oversees trips I reached up and pulled down my backpack wheelie. The backpack wheelie is the best invention on earth. You see, most backpackers typically travel for extended amounts of time with everything they own within that time allotment strapped onto their back. I’ve gone one step further, and made the decision 3 years ago before my trip to Thailand to purchase myself a backpack for the same convenience factor however mine comes with wheels. Genius. The thing with traveling is you never know before arriving if you will spend nonsensical amounts of time wandering around trying to figure out which way to go, can’t check in to accommodation for multiple hours, have inconvenient flight times, etc. so I never bring more than what I know that I can personally carry, and the flexibility of the backpack wheelie makes it even more suitable for all terrains. There’s nothing worse than that friend who brings the BIG suitcase that they can’t maneuver up and down stairs, or drag around cobblestone streets in Italy’s small nooks and crannies. Don’t be that friend. Arriving in Auckland my first decision to make was to get from the airport to downtown. With cabs costing around the $60 mark, I wasn’t too proud to opt for the $16 airport bus into the city. With luck a friend was in town on business so I was able to take full advantage of her company perks as well, and checked into the 2-story suite at Hotel De Brett, a 25 room luxury boutique hotel for two nights. The extravagance of someone else’s work expense account meant that we could dine at renowned Ponsonby restaurant SPQR at night while visiting the wineries of Waiheke Island by day. But then the weekend arrived and it was time to move on. We rushed out of the hotel doors to discreetly meet Adventure Tours out front of Nomad’s hostel for our trip up to the Bay of Islands. 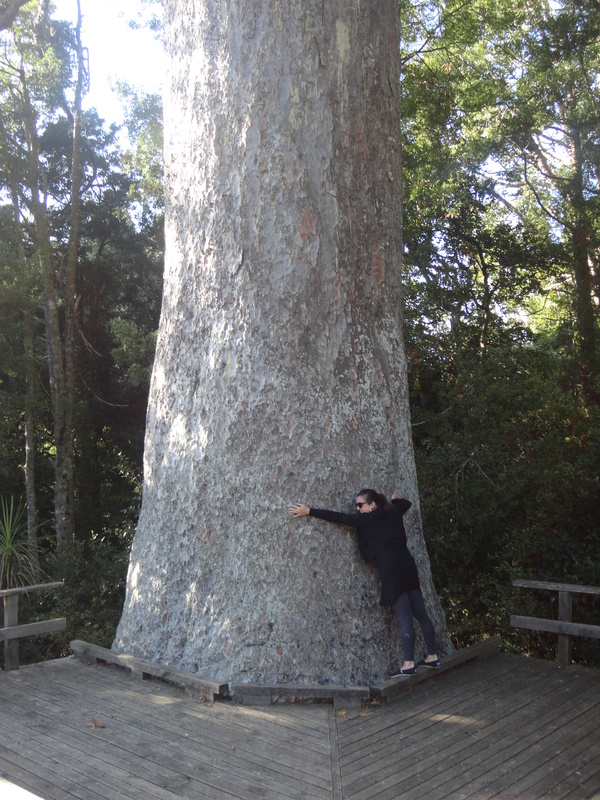 On the 4 hour journey up north we stopped in Parry Kauri to hug a giant Kauri tree, Warkworth for breaky at a cafe, Goat Island to snap some photos of gorgeous scenery, Whangarei for lunch, then to the famous Hundertwasser toilets in Kawakawa before arriving in Paihia. Once in Paihia our lovely guide was on a mission to find cheap eats for the night, but truthfully my friend and I wanted to relax, have a glass of wine and a decent meal so we opted to refrain from the group dining to treat ourselves to exactly that. But oh how quickly the tables turned. After dinner we found ourselves in line for entry at the various backpacker bars in town, scoring cheap drinks and chatting with other friendly travelers before I tucked myself comfortably in to the top bunk of Salt Water Lodge hostel’s shared dorms. When responding to the tour guide’s question regarding where we ended up finding food the previous night she replied smugly, “Oh, the posh place.” Looks like we’re not off to a great start. 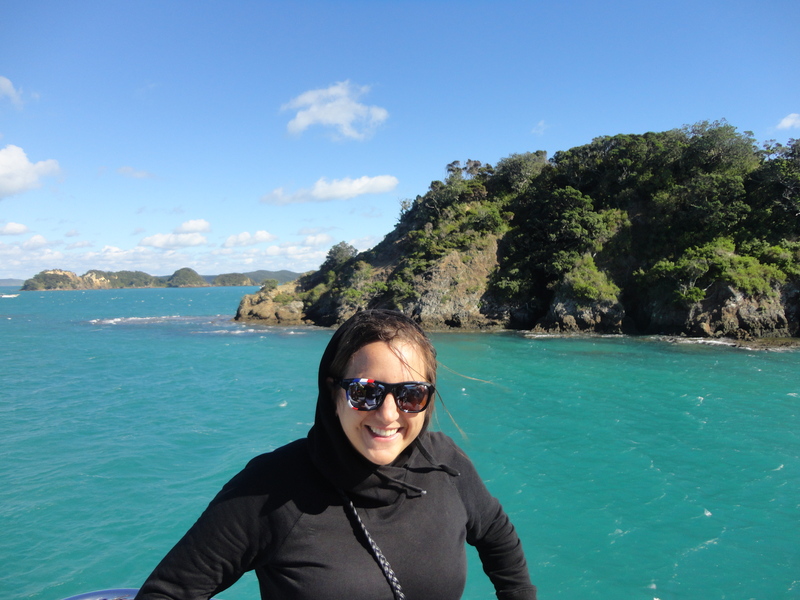 The next day however had us in full on adventure mode, after taking in the scenic Bay of Islands on the Dolphin Discoveries boat, in which we encountered heaps of dolphin pods, in addition to hyperactive school children, and then spent the night in cabins on Urupukapuka Island. There were less than 20 people who stayed on the island for the night which gave it a sense of a sleep away camp (something I was never fond of as a child). After a full day of hiking, kayaking, and soaking up the sun we had a lovely group dinner of fish and chips, and sat around sharing stories and sipping wine from the much appreciated bar. It’s time to travel back to Auckland and the tour guide wants to know which hostel to book us in. Fortunately for us, or should I be more specific and say lucky me, we had one more night in Auckland on my friend’s expense account which meant a stopover at The Langham, another 5 star gem. She even opted for the upgrade, which meant complimentary drinks and canapés in the Club Lounge. 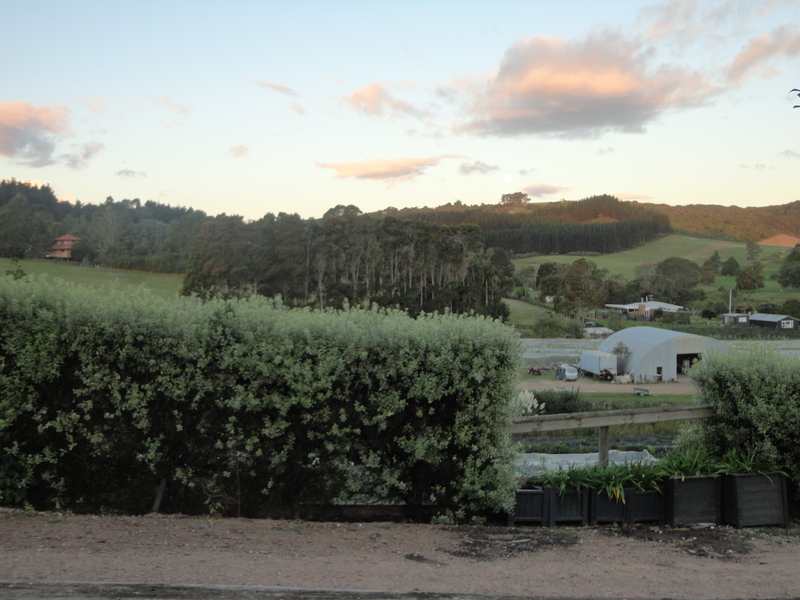 The next morning it was time for me to move on and take on the next seven days of the North Island by myself, well, under the – can you even call it – supervision of Stray Travel, another backpacker tour company. Luckily it’s filled with mostly single travelers as well. Here’s the difficult part though, getting on the bus at 7 am after a night of fine wine in the Club Lounge had me feeling a bit hairy, but first impressions count, especially when I’m in dire need to make some friends for my next week-long adventure, so it was all smiles downing bottle after bottle of water. As I built relationships with various travelers from the UK, Germany, Brazil, Canada, India…it dawned on me how unprepared I was for this trip. I was initially meant to be in Fiji and my head was still a bit in full on island mode – especially when I packed at 10 pm the night before my flight. I hadn’t mentally put myself in backpacker gear, and it slowly sunk in when I realized…they all have proper hiking boots… we’re in New Zealand…my Toms and flip flops will not cut it in this terrain. They have waterproof jackets…it’s raining…my pocket sized checkered Totes umbrella will not withstand this wind. They all have fleeces…its winter…my one pair of jeans and black hoodie will not be fresh by the end of this! Flashpacker alert. Being economical while backpacking for weeks on end, most travelers cart around food in a reusable grocery bag after making a stop every few days at the grocery store. 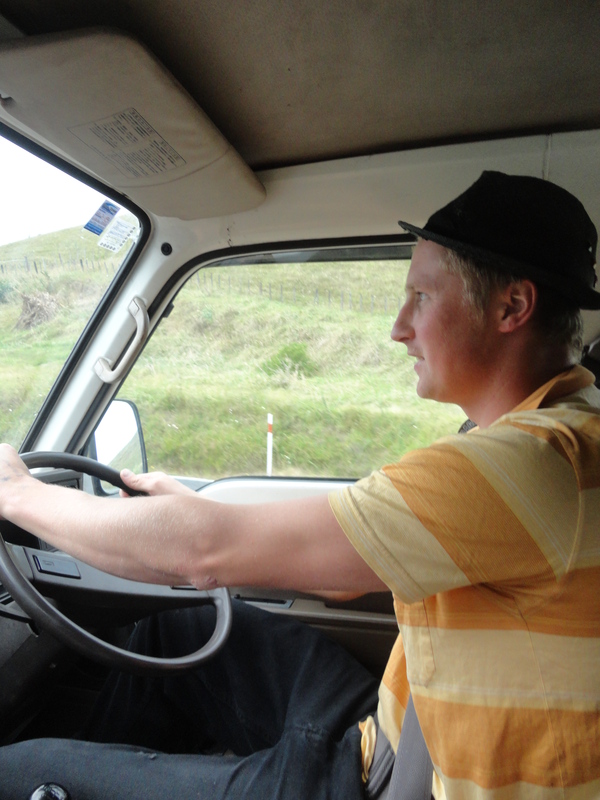 So, before arriving in the famous surf town of Raglan (a home to muscian Jack Johnson and featured in the film Endless Summer), our driver Oskar, aka Mud, stopped the bus at a large shopping center and told us we have twenty minutes if we want to pick anything up for lunch or dinner. Sure…so I hop out, as usual aimlessly wander around the store feeling anxiety over what I can buy that will cause me no effort to consume, and walk away with two apples and box of cereal bars. As we make our way away from town towards our accommodation Oskar tells us about the great place we are staying, Karioi Lodge, how it has both beach and mountain views, a famous surf school, and more or less, we’re set deep into the bush so if anyone wants to participate there will be trivia happening that evening as there’s not much else to do. Oskar gave in and took me to town, and better yet, I convinced him that I’ll buy the food if he cooks it. Win-win I tell ya. I learned my mistake from then on, and always bought extra snacks just in case! There’s a reason why I straddle this double life, enjoying the luxuries that I’m fortunate enough to afford however crave the experience of what you encounter when it’s just about simplicity. There’s no need to talk work, or petty drama, or bills. It’s just experiencing great company, amongst beautiful scenery and endless opportunity. I’m just nervous for when I get too old for it to stay this way and I have to give up the backpacker part of the flashpacker. My wife and I always caller ourselves Luxury Backpackers. We did not need to suffer while back packing, living off a loaf of bread for a day. 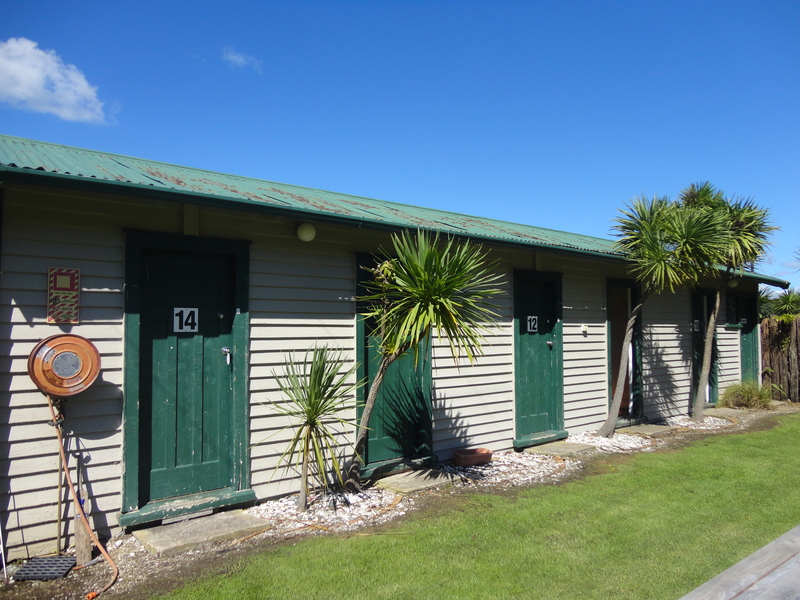 We got air conditioned bungalows and loved it. Why suffer, you can still love the adventure of traveling with a back pack, but enjoy the good things that are around you too. 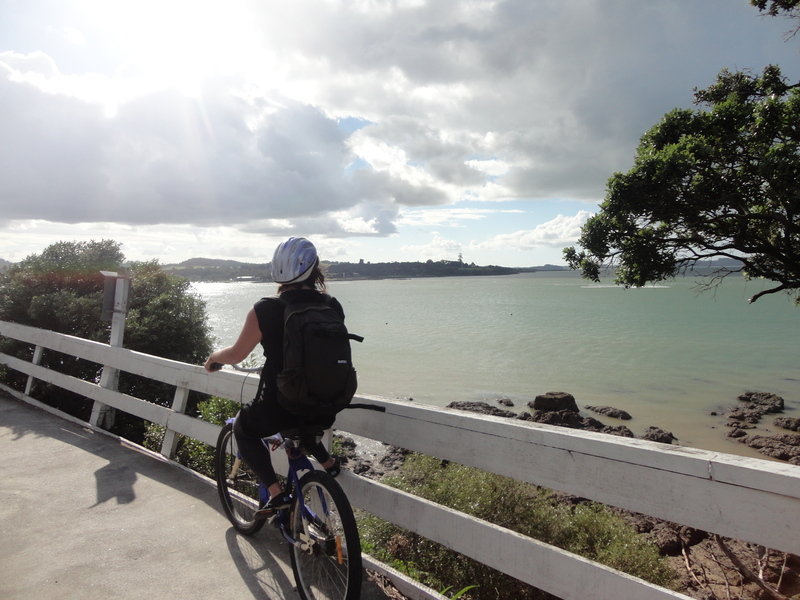 Great post and left me longing to travel in NZ again some time in the not too far future… I backpacked & worked there 20 years ago, v much on cheapest option only, now I guess I’m flashpacking – what a great name for it! Unless there’s another name when you have kids in tow?! Found your blog via Lesley Carter’s – great reading, thanks! I went straight from ‘backpacker’ to ‘tourist’ and skipped over the ‘flashpacker’ part I think. Maybe I just got old fast!